"I teach Gymnastics for a living, but i have also been teaching newer forms of motion for the past few years, including Parkour; The Art of Motion, Freerunning and Extreme Martial Arts Tricking. I put all of my students through a rigorous amount of training using only bodyweight excercises and explosive moves and i use a weight vest to facilitate that training and make it more effective. So when i was looking for weight vests i needed one that could stay close to the body without getting in the way of any movements, not hurt us from rolling on concrete and that didnt feel awkward while you have it on. I Found Ironwear fitness especially for the rubber weights they call Flex-metal but was extremely satisfied because while wearing the vest you feel heavier sure, but you dont feel like you have a weight vest on at all. i notice a difference in my students overall performance and strength as well as improvement in my own training. 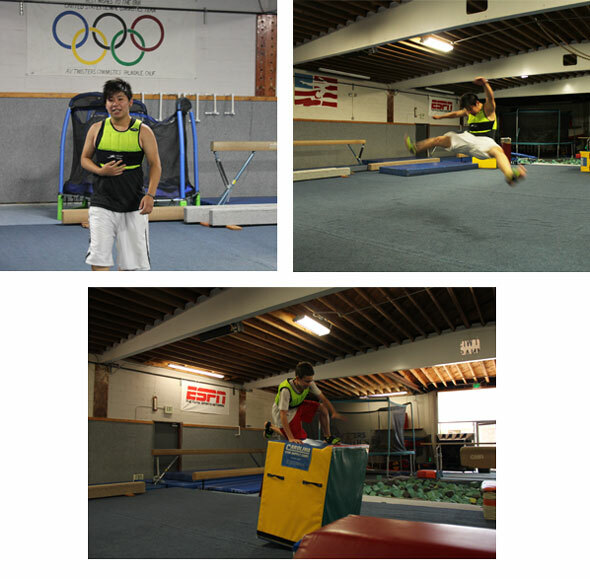 So far I train both my students and myself with my 9lb Cool-vest and 10lb Speed-Vest which both work fantastic for all of the movements i teach, from vaulting blocks in parkour, tic-tacs, wall-runs, box jumps, pushups, kong pushups, pull-ups, muscle-ups, handstands, handstand hops, all of my core-excercises and all of the kicks for Tricking. Another item i use on a regular basis is the shoe-irons, they dont pull on your ankle joints like other weights that go on the feet so they are safer and more practical in so many ways. If you have not started using Ironwear weight vests while training you are missing out on a huge training devise that will increase your strength, speed, control, endurance and your actual movements. Thank you Ironwear for helping me improve my training as well as the training of my students. I look forward to integrating more of your product into by training."